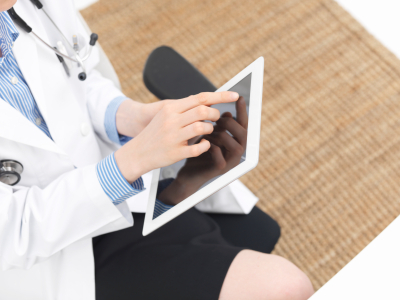 Physicians and medical professionals need to have access to information all the time. Their areas of specialty change frequently, and these professionals need to manage large amounts of information on a daily basis. Helpful online resources such as blogs and medical information websites for physicians can help medical professionals gain access to the information they need when they need it. Practice Notes Blog. This blog is several medical information sites for doctors in one. Attorneys, IT professionals, doctors and other professionals weigh in with information useful for doctors. This blog has useful information about billing, compensation and other areas doctors need to master. Epocrates. This app can be used from any computer or mobile device to look up drug information, safety information, tables and more. PubMed. A collection of online medical resources for doctors, this page links medical professionals to the latest research in a variety of fields and from the most respected medical journals. The Centers for Disease Control and Prevention. This website contains information about outbreaks as well as pages about almost every medical condition. The website is available in different languages, helping physicians communicate medical information to a variety of patients. The New England Journal of Medicine. One of the most respected medical journals in the country, The New England Journal of Medicine website contains the latest medical research as well as statistics and other data. The American Academy of Allergy, Asthma & Immunology. For physicians in this area of specialty, the AAAAI website contains practice resources, information about upcoming conferences, patient resources and more information. The American Academy of Family Physicians. General practitioners and family doctors can find many resources on this website, including practice management resources, medical school and residency information, advocacy resources, links to medical journals and more. The American Academy of Orthopedic Surgeons. This website contains information about upcoming events and conferences, links to research and information as well as other resources geared toward one of the most intensive areas of specialty. The American Association of Neurological Surgeons. This well-organized site has information for patients, surgeons, international neurological surgeons, residents and medical students, the press and more. Surgeons can find research as well as information about research and annual meetings as well as advocacy and professional education resources. American College of Cardiology. This website contains practice resources, research, statistics, data and practice resources. Cardiologists and other medical professionals can get access to clinical toolkits, career information, quality program solutions and more. American College of Emergency Physicians. This website contains apps and podcasts, reimbursement information, professional development resources, clinical and practice management resources, information about professional development and other resources aimed at healthcare professionals working in emergency departments. American Congress of Obstetricians and Gynecologists. The ACOG site has practice management resources, advocacy support, research, blogs and other resources designed for OB-GYNs and general healthcare practitioners looking for more information about women’s health concerns. Gallagher Healthcare. Read our blog or browse our online medical resources, designed by insurance and health professionals to help you find the right insurance solutions for you. Doctor’s Voice. One of the best medical resources online is Physician’s Weekly, a respected publication for more than 30 years. Their online blog is full of useful blog posts by and for doctors across specialties. If you require resources and information about medical malpractice insurance and other insurance solutions for medical practitioners, contact Gallagher Healthcare for a quote. Our professionals can help you get insurance information and quotes quickly, saving you time and helping you get the coverage you need.